Whether your venues a small bar or large nightclub.. We can help! Music/Dance Events, Festivals, Air Shows, Motor Shows, Exhibitions, Football matches, Boxing events.. and more! Security Services You Can Count On! 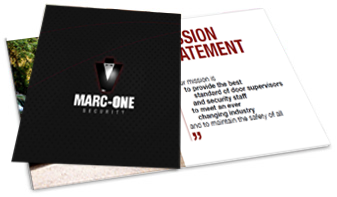 Formed in 1990 by Managing Director Marcus Redwood, Marc-One Security quickly went from strength to strength. Receiving ‘several‘ Police and Licensing authority commendations, winning awards for pro–active door supervision and security work, Marc–One Security has built and secured an outstanding industry reputation for delivering security services you can absolutely rely on! 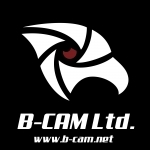 From our offices in Kent and Sussex we continue to provide industry leading security services, arranging, supplying and fulfilling contracts in and around the UK. Our years of experience and knowledge allow us to tailor our security services to the specific needs and requirements of each individual client. 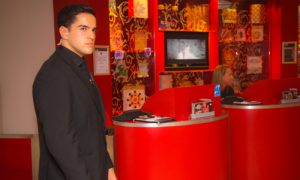 We pride ourselves on delivering those security services to the highest professional standards. We’re accredited to British Standards Institute 7960 and fully insured for Employer’s Liability of £10,000,000 and Public Liability of £5,000,000. 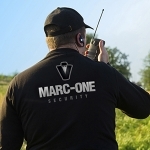 As an added bonus, Marc-One Security unlike a lot of companies have the know how, ability, and credentials to train and qualify our own staff to work in the Security services. Our people carry our name, brand and reputation with them, therefore we ensure they are trained and held to a much higher standard than you would normally find in the security industry. Our operatives each receive full training, including advanced control & restraint. 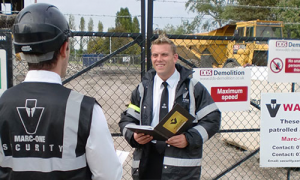 Whether for a formal corporate event with guards dressed in black suits, or a construction site where you want an informal look, find out about our Manned Guarding. 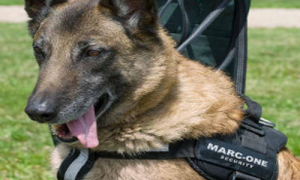 We can provide canine dog teams for a range of requirements trained to search people, vehicles and buildings, safeguarding your business premises, festival or event.